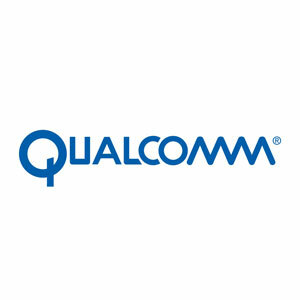 Qualcomm Technologies, Inc., a subsidiary of Qualcomm Incorporated (NASDAQ: QCOM), today announced a new LTE IoT Software Development Kit (SDK) for the Qualcomm® MDM9206 LTE IoT global multimode modem. This new LTE IoT SDK is designed to assist original equipment manufacturers (OEMs), application and solution developers, new IoT entrants and other non-traditional ecosystem players in the creation of new cellular-enabled IoT applications, products and solutions – accessing the power of the application processor, connectivity, global navigation satellite system (GNSS) capabilities and peripheral interfaces integrated in the MDM9206 LTE IoT modem which is currently featured in various IoT hardware modules from third-party providers. Along with the recently announced Qualcomm Technologies’ wireless edge services which is being developed to help provide a set of trusted services for enterprise and IoT cloud providers, this new LTE IoT SDK is part of Qualcomm Technologies’ overall efforts to address some of the key challenges within IoT. This new LTE IoT SDK is designed to support developers while they run custom software on the integrated 1.3 GHz Cortex A7 CPU within the MDM9206 LTE IoT modem, as well as to provide developers with access to Qualcomm Technologies’ extensive suite of software and tools which are designed to make available some of the additional capabilities of the MDM9206 LTE IoT modem, such as GNSS. The integrated CPU within the MDM9206 LTE IoT modem also is designed to help eliminate the need for an external microcontroller, which is anticipated to help improve cost-efficiency, battery life and device security. The MDM9206 LTE IoT modem is a purpose-built solution designed to support global multimode capabilities, including both eMTC (Cat M1) and NB-IoT (Cat NB-1), as well as 2G/E-GPRS. The MDM9206 LTE IoT modem, along with this new LTE IoTSDK, is designed to facilitate the development of cost-effective, low-power devices designed for multi-year battery life and greater coverage compared to traditional LTE. To date, nearly 90 designs are using the MDM9206 LTE IoT modem with global multimode support for LTE categories M1 and NB1. Qualcomm Technologies is scheduled to demonstrate this new LTE IoT SDK at Mobile World Congress in Barcelona, February 26 – March 1, Hall 3, Stand 3E10. For more information, please visit qualcomm.com/lte-iot.